Building a better working world. Together. EY’s greatest asset is our high performing teams. The success of our business relies on the skills, attitude and knowledge of our people. As you collaborate with colleagues you gain exposure to some of the most demanding and stimulating challenges in the business world. Everyone’s opinion is valued. After all, diversity of thought and ideas enables us to provide better services to our clients. The network you build at EY will last a lifetime. A career at EY is not limited by location or opportunity. True opportunity means working with people in different industries and different cultures from around the world. We don’t put you in a box. Instead, we find the opportunities and challenges that best suit your talents and empower your career. As an organisation with a presence worldwide, we encourage respect, integrity and teamwork. You’ll be encouraged to think in global terms, build strong relationships and embrace diversity in all its forms. By valuing the differences in those you work alongside you’ll find that you improve your perspective and, ultimately, provide better answers for your clients and communities. The World Economic Forum estimates it will be 117 years before women achieve gender parity. Learn what we’re doing to accelerate progress and catalyze change. 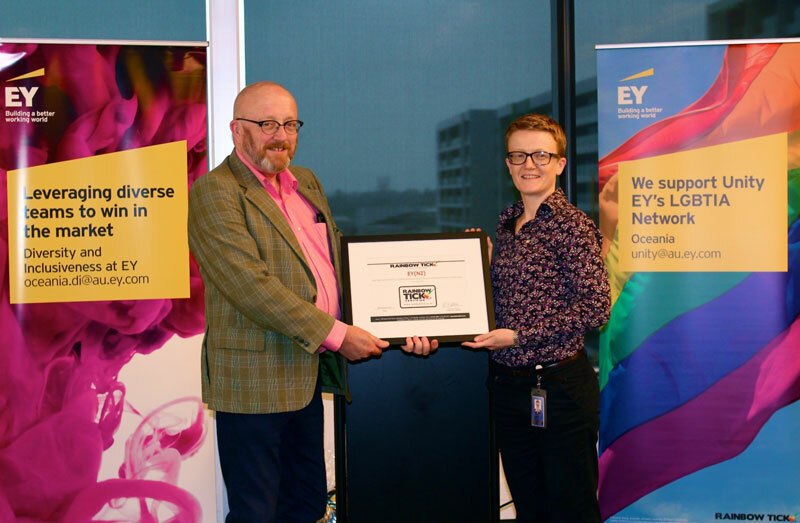 EY embraces diversity and encourages applications from people with disability. We are committed to making reasonable adjustments to provide a positive, barrier-free recruitment process and supportive work environment. If you would like to talk to us about accessibility or reasonable adjustment at EY, please email contactrecruitment@au.ey.com our recruitment team. We will work with you to identify the best way to assist you. At EY you’ll be given the experiences, training and coaching you need to succeed. Many of the soft skills we teach are designed to create a global mindset and address the importance of diversity and inclusiveness. We’ll work together to help ensure your career takes you in a direction where you’ll be able to reach your goals. Its about making sure you do interesting work with exciting clients, while also providing access to appropriate training, coaching and support. At EY we have a strong commitment to involvement and teamwork. It's important you feel part of our wider organisation and feel first-hand the powerful impact we're able to have on businesses and communities. This sense of involvement stretches a long way beyond the formal work you'll add to your CV/resume. It's about the bonds that you form with your colleagues, the support you give to our corporate responsibility activities and the way you contribute to our ongoing discussions within the organisation. As we work towards building a better working world you can use your personal interests and professional skills to make a difference. EY has shown on-going commitment to sharing the responsibility of caring for the community. You’ve found the right place if you want to make a difference outside of your professional role. Through our peoples’ time and skills, we invest in the education of tomorrow’s workforce to ensure that the skills and characteristics required to enable businesses and societies to thrive are available. Did you know that EY people regularly donate through the EY Matched Giving Program – and EY Australia and EY New Zealand will match their contribution dollar for dollar? The EY Foundation Matched Giving Program allows our people to donate to a registered charity of their choice directly from their pre-tax pay and EY will match the contribution dollar for dollar. This means a monthly contribution of just $20 from pre-tax earnings will provide their favourite charity with $480 each year! In exchange for meeting challenges and consistently high performance, you deserve to be rewarded for your contribution to EY's success. FLEXleave* You'll have the opportunity to purchase up to six weeks extra leave. This provides you with more time for study, family or other personal pursuits. Paid parental leave* You’re entitled to 16 weeks paid parental leave once you have been with EY for 12 months. This is on top of the Government’s paid parental leave provisions. This paid leave benefit can be taken on a part-time/flexible basis. Parental Leave Mentoring is available to all EY staff taking parental leave, as is Grace Papers, a digital parental leave platform which provides guidance to EY parents and managers on navigating the transition back to work. Flexible work arrangements. We aim to promote a flexible work culture by assisting our people to balance their work and personal responsibilities through the availability of flexible working arrangements. You can take advantage of a wide range of lifestyle benefits and corporate discounts from leading brands across technology, banking, travel and general and health insurances. EY is focused on the health and wellbeing of our people and have a wellbeing program dedicated to factors that are known to maintain good wellbeing. Our wellbeing initiatives cover financial health, physical and mental health, family and community and the quality and value of work. We support complimentary flu shots, nutritious snacks and fruit in the office, gym corporate discounts and in some of our offices offer onsite gym. Employee Assistance Program. You and members of your immediate family can access independent, confidential counselling, free of charge, from professionally qualified counsellors should you need advice on personal, family or work-related concerns. Social Club. The EY Social Club organises a range of activities, from sporting events to informal and formal social functions, including – in most offices – an annual ball. Study Assistance. We'll help you meet the cost of approved external studies, which may include providing you with financial assistance to cover all or part of your course fees and the cost of your study materials. We may also offer you study and exam leave. Professional memberships. We'll cover joining and annual membership fees for one professional body each year. This includes the Institute of Chartered Accountants or an equivalent body for qualified professionals. Global Employee Referral Program. Recruiting the best people is critical to our success, and employees like you are often the best source of the best candidates. The Global Employee Referral Program provides you with a cash reward if you successfully refer a candidate. We offer domestic and global mobility opportunities. That means you could find yourself working in other EY offices within New Zealand – or in one of our offices overseas. You can apply for an overseas secondment once you've had a few years experience with us. *If you are a temporary visa holder these benefits may not apply. ** These benefits are subject to compliance with the EYA&NZ Policy and Procedure manual. No two days are the same for our people. They have multiple responsibilities and interests, it’s about getting the most out of everything and not sacrificing personal aspirations or career goals in the process. We realise that some people want to balance their responsibilities, others want to work smarter and for most of us, we just more out of life. That’s why we strongly believe that it’s not about where you work, when you work or how long you work; it’s about the quality of what you deliver that matters most to us. By feeling empowered to be the best parent, manager and teammate we see our people go from strength to strength. So by changing how we think about work and embracing different possibilities, we can give you the flexibility you need to work your way, to get the most out of life. How would you like to get more out of life? This is Linda. She’s ambitious but like most of us also has interests out of the office too. Linda can find the right balance so she can get more out of life. Meet Kara. Kara is an international leader and dedicated Mother. She can excel at both because she’s able to integrate her responsibilities, Kara gets more out of life. Meet David. He has great ideas and is an integral part of the team. No two days are the same, he has things he needs to get done throughout the day. David can get more out of life by making each appointment count. This is Emily. She has big responsibilities in the office; she’s always reliable and a great team player. These skills are put into practice at home when she’s caring for her mother. Because you look at your time holistically so do we.